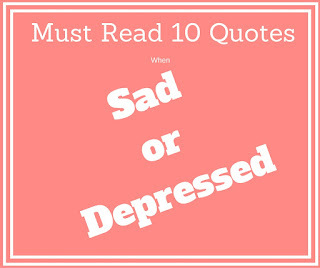 Here are quotes for you which anyone must read when he is feeling sad or depressed. In the today's life, we face many situations which cause sadness. It is very important for any person to come out of sadness or depression immediately because otherwise, the condition of a person may become more painful and he may further sink into depression or sadness. Below, you will read some healthy and positive quotes full or positive attitude towards life so that you can feel comfortable with yourself and come out of sadness in your life. 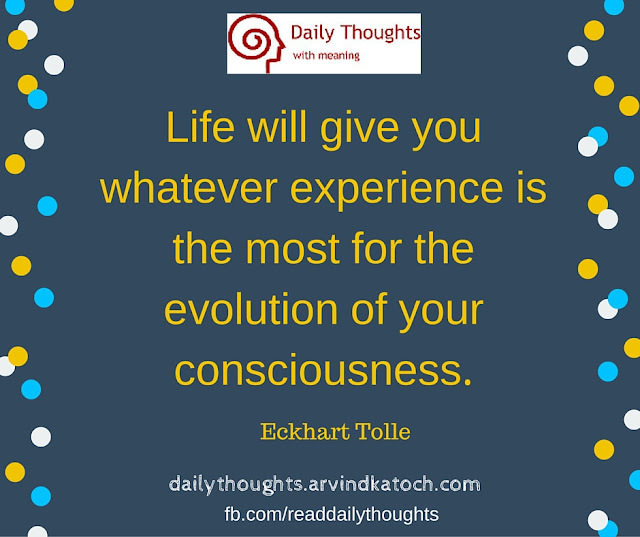 This quote by Eckhart Tolle says that whatever phase of life, we are presently going through is important for the evolution of our consciousness. When we learn the lessons which life wants to give us, we become happier and emerge as stronger human being. The only hard thing is to keep patience in this hard time. So have faith that this time will pass and you will evolve as much stronger human being. "The happiness of your life depends upon the quality of your thoughts; therefore, guard accordingly. Marcus Aurelius"
A man's destiny and his happiness are shaped by his thoughts. Mostly, people have no control over their thoughts and they become victims negative thinking. Negative thinking creates negative emotions and negative emotions fill a person with sadness. 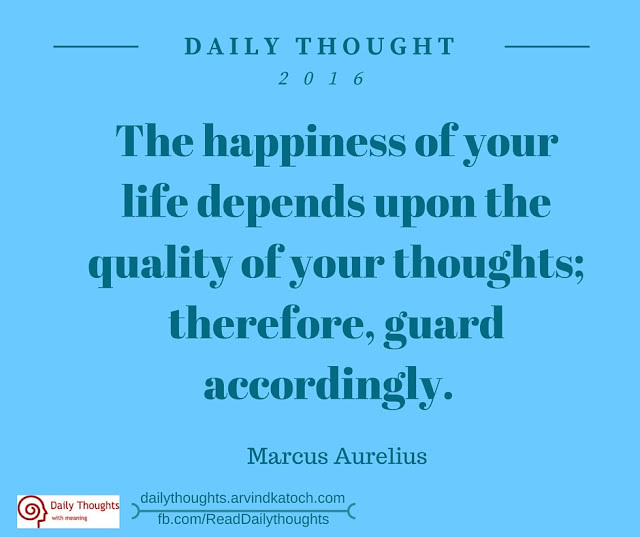 Therefore, it is important to guard what we think and only allow positive thought to enter our mind so that we only have positive emotions and finally, happiness. Happiness is creation our mind like sadness. 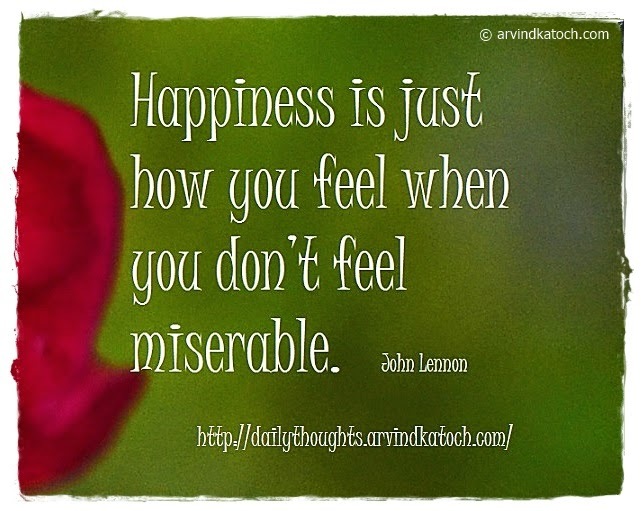 We can easily feel happy by shifting our emotions away from sadness. In life, we may not have full control our the many situations; however, we can control what emotions we can allow to enter into our mind. 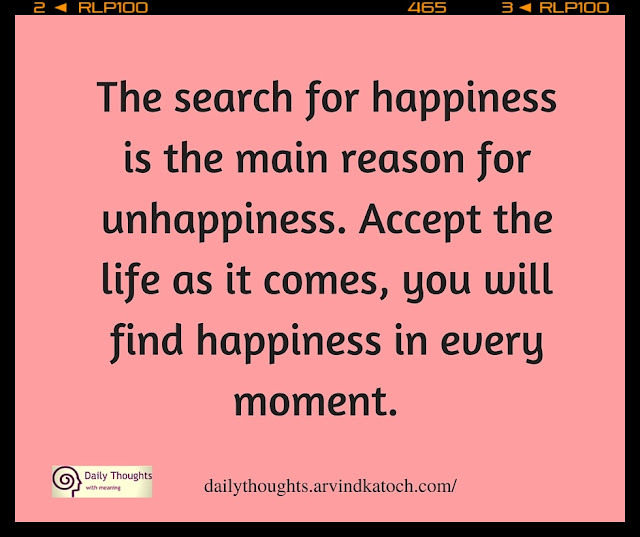 "The search for happiness is the main reason for unhappiness. Accept the life as it comes, you will find happiness in every moment. " The one of reasons of unhappiness in life is that we don't accept the life as it is. We fight with the situation and create hard time for yourself. We can only change the situations in life when we first accept them, then only we can work to change. All this is a slow process and it takes time, So be patient and accept the present moment. When you start appreciating the present moment and stop your search for the happiness, you find the happiness. "Meaningless work exhausts life, creative work increases happiness and brightness. 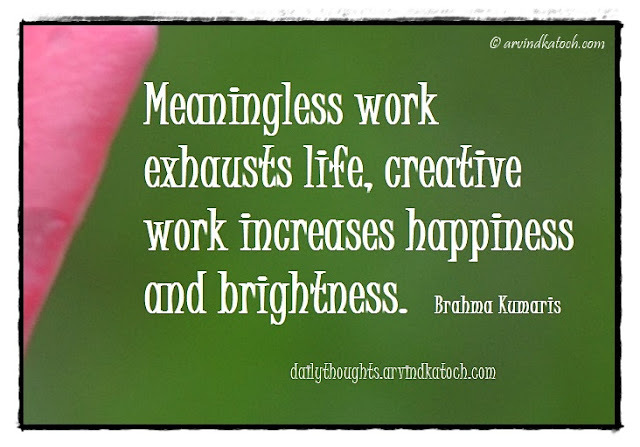 Brahma Kumaris"
We will feel happy or sad, it depends largely on the kind of work we do. When we don't enjoy what we do, we feel exhausted. While when we do some creative work which we enjoy, we feel much happier and lighter. Therefore, if you are feeling sad or depressed, then indulge yourself in some creative work which you enjoy and soon, you will start feeling happier. It is not right to blame others for our unhappiness or sadness. Everything which is coming into our life is because of our past actions. However, we blame others and situations for the sadness and feel angry. On the hand, when we take the responsibility of our situation and feed our conscious with positive emotions, then we start feeling positive. "It's not what happens to you that determines your happiness. It's how you think about what happens to you. 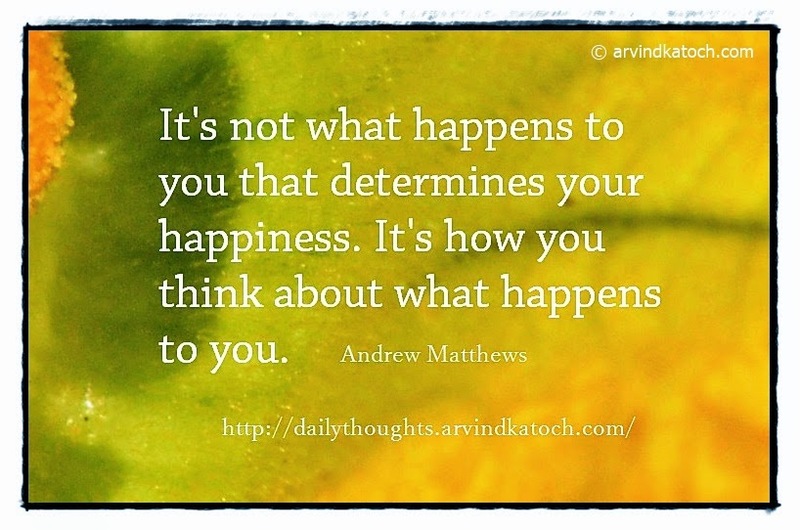 - Andrew Matthews"
Again, this quote highlights the importance of our thinking positive. We mostly feel sad or happy not because of the situation, but how we think about the situation. So do learn to not react negatively to the bad situations in life and soon, you will reduce a lot of stress and sadness from your life. 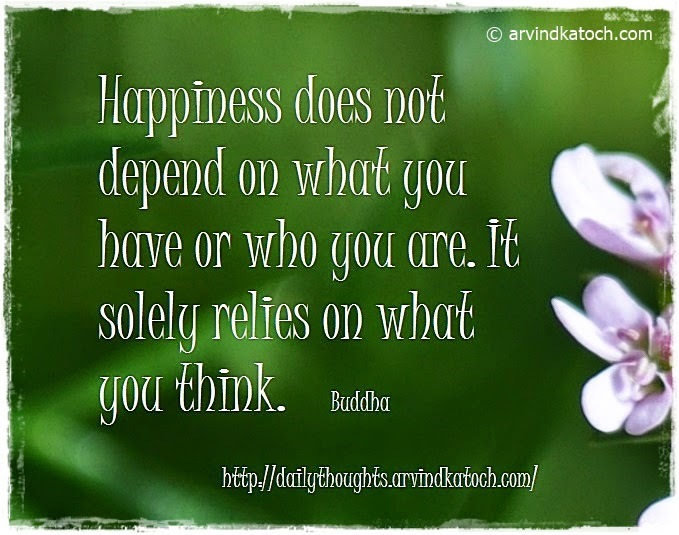 "Happiness does not depend on what you have or who you are. It solely relies on what you think. Buddha"
This quote has the same explanation as of Quote 7. 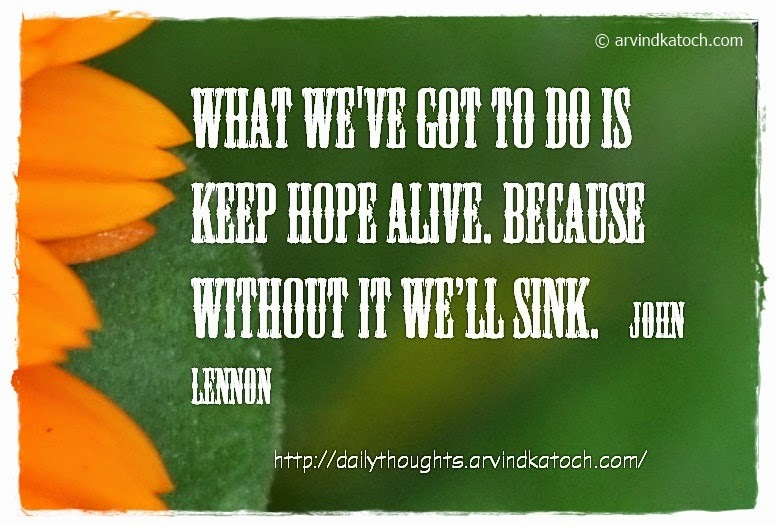 Hope is something which has great positive power in it. By keeping our hope alive, we can add some positive energy to our lives and this positive energy can save us from sinking into sadness. So in a difficult situation in life never abandon the hope and keep in alive how hard may be the time. 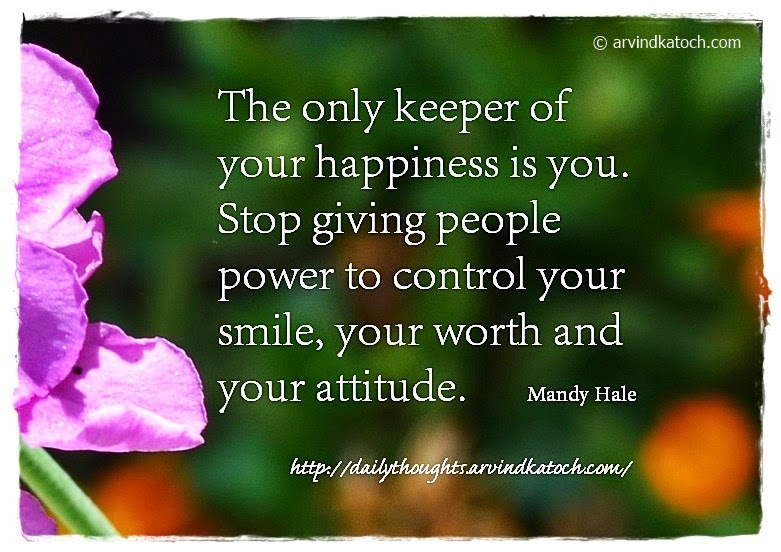 "The only keeper of your happiness is you. Stop giving people power to control your smile, your worth and your attitude. Mandy Hale"
Lots of time in life, we feel sad because of the others. This happens when we give too much importance to the people. When we give them importance, we also give them the power to control us. In such condition, it is important to take this control back from the people and make our happiness only dependent on us. In this way, we can safeguard ourselves from the influence of negative people.